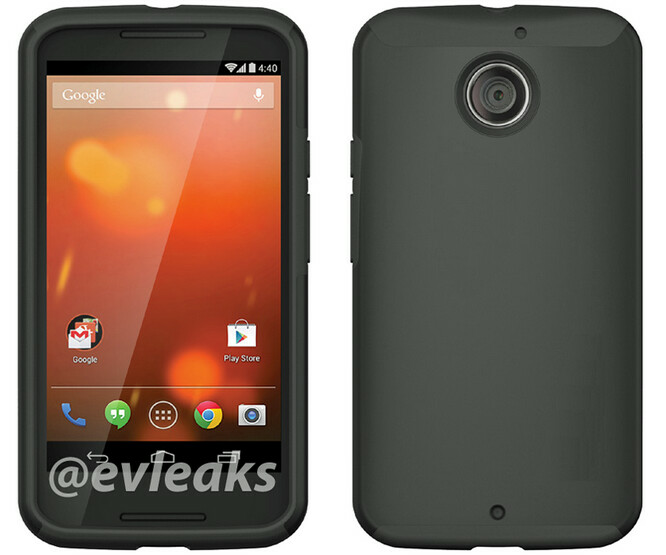 A tweet sent out by serial leaker evleaks, reveals what is supposedly a render of the Motorola Moto X+1. The phone is ensconced in a bumper case made precisely for the handset. The Motorola Moto X+1 is expected to offer a bump up in specs from the OG Motorola Moto X. For example, the newer model is expected to sport a 5 inch screen with a resolution of 1080 x 1920 resolution. This tops the 4.7 inch screen and 720 x 1280 resolution found on the original. The pixel density increases from the 316ppi of the Moto X, to the 441ppi on the Moto X+1. The silicon also is getting bumped, from a dual-core Qualcomm Snapdragon CPU to a quad-core Snapdragon 800 CPU. One welcomed change is the addition of a microSD slot, something that was missing from the Moto X. Over the weekend, we showed you a video of the Motorola Moto X+1 wearing Saran Wrap to hide some identifying marks. Now we have a front and back render of the eagerly-awaited model. 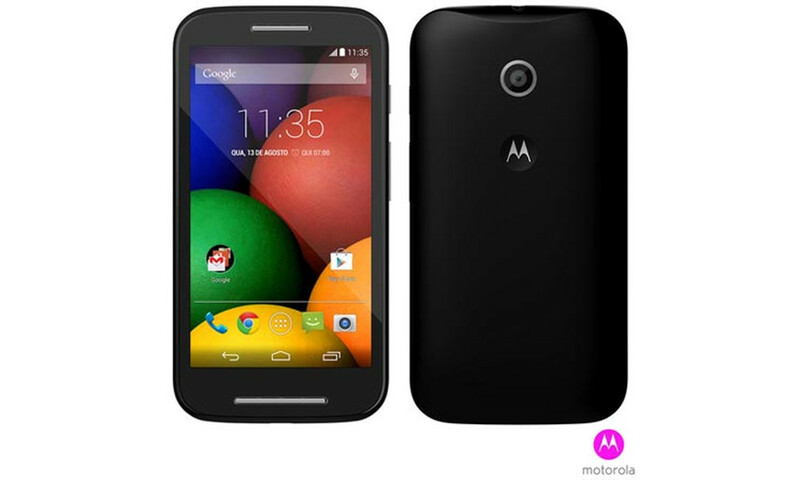 A Moto X+1 that looks like a Moto E, has no rear flash (Like the Moto E), or front facing camera (Like the Moto E). Hmmmm, I wonder what it could be? 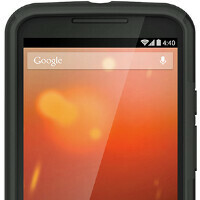 A Moto E in a bumper case? No, it is clearly a Moto X+1! I agree this is either a Moto E or something like the Moto E. Picture for those who need reference: http://www.droid-life.com/wp-content/uploads/2014/05/MOTO-E-OFFICIAL.jpg The only difference is the back camera looks slightly larger on the one in the article and the two speakers on the front on the Moto E are different sizes whereas the one in the "render" are almost the same. Where is the Motorola logo and that famous dimple on the back? From the article: "The phone is ensconced in a bumper case made precisely for the handset." Those super tiny bezels alone can tell that this is clearly the successor of the Moto X. In No way this is the moto x+1, and look at that bumper case, geez why do people use such fugly cases ruining their beautiful phones. SMH. Definitely not the X+1, I'm looking forward to it though. For all you geniuses,, it's a circular flash.